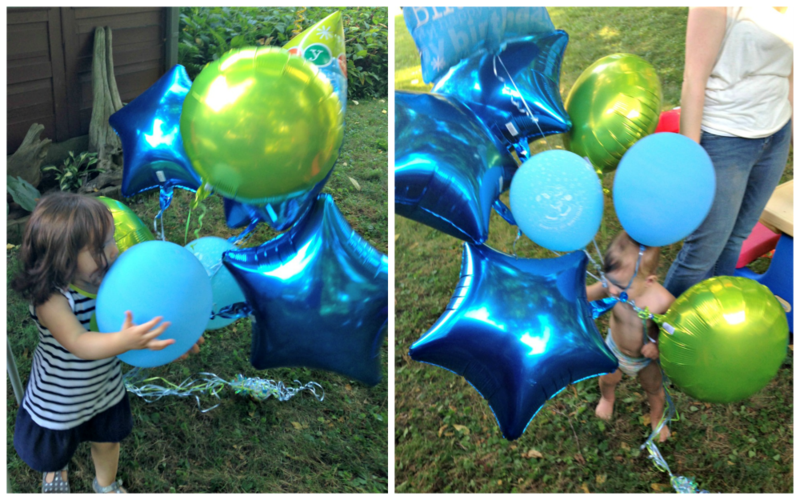 I am continuing on with my (maybe a little too excessive amount of) posts detailing Myles' 1st birthday. So far, I wrote about picking a theme and his photo shoot and what we did on his actual birthday. This post is the first of his party. I have tons of pictures that I want to share on my blog for family and friends to see. Because of that, these first couple of party posts are going to be extremely picture heavy and most likely not that exciting to my blog-world readers and friends. I am apologizing in advance for this, but they are important to me and the main purpose of my blog (capturing memories of my son). So please bear with me and I promise I will be getting to the good stuff soon! Cake and presents, games and food, decor and all of the tutorials should be out by next week! 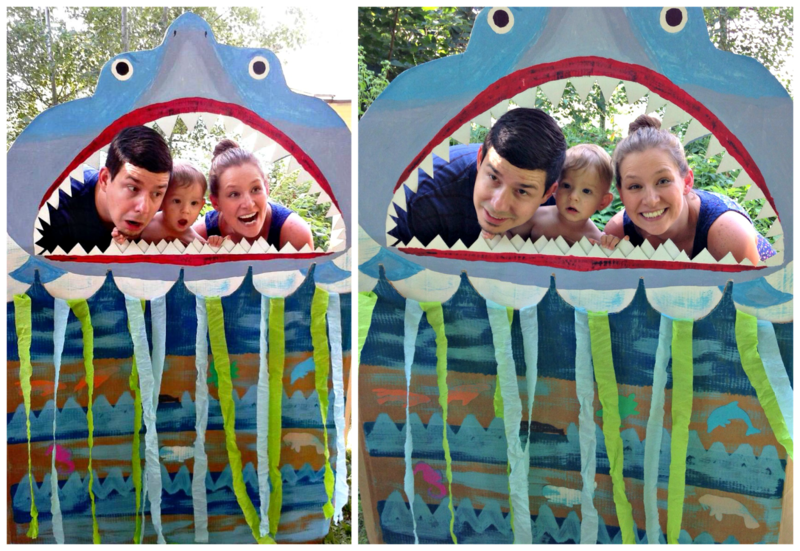 But for now enjoy some Myles' cuteness mixed in with family fun! 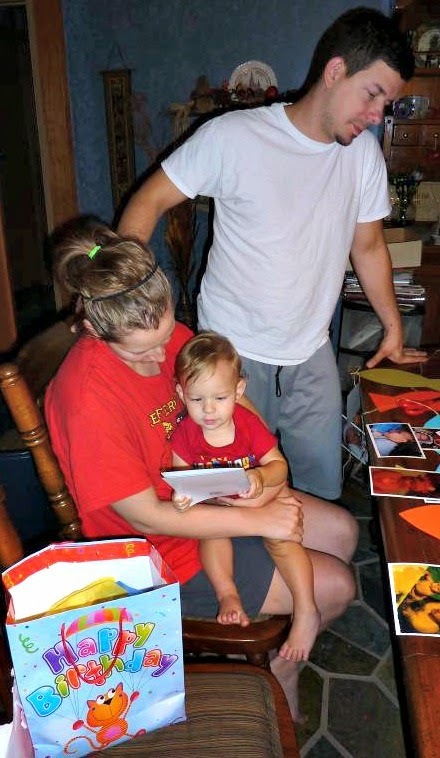 When I shared what what we did on his actual birthday, I talked about how we decided to go back to Illinois for Myles' first birthday, even though we had just moved to California 5 weeks before. This was a no-brainer choice for me because I just had to celebrate Myles' first year with all of our family. The long days of traveling was no fun, but it was 110% worth it to be able to celebrate such a meaningful milestone in my life with all my loved ones. 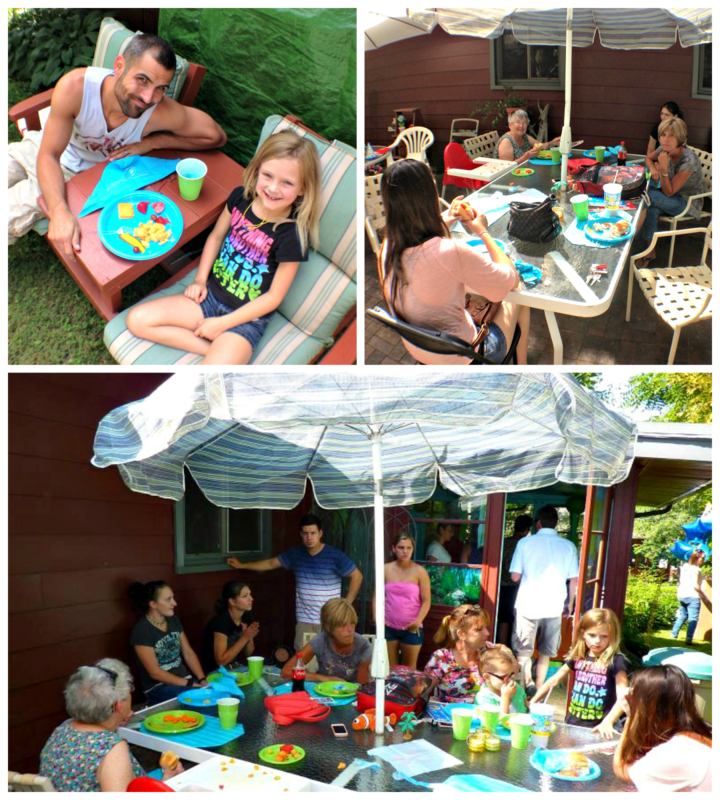 Plus, I knew we wouldn't be back until Christmas (4 months away), so I wanted to get everyone together before we would be gone again (for several this time). 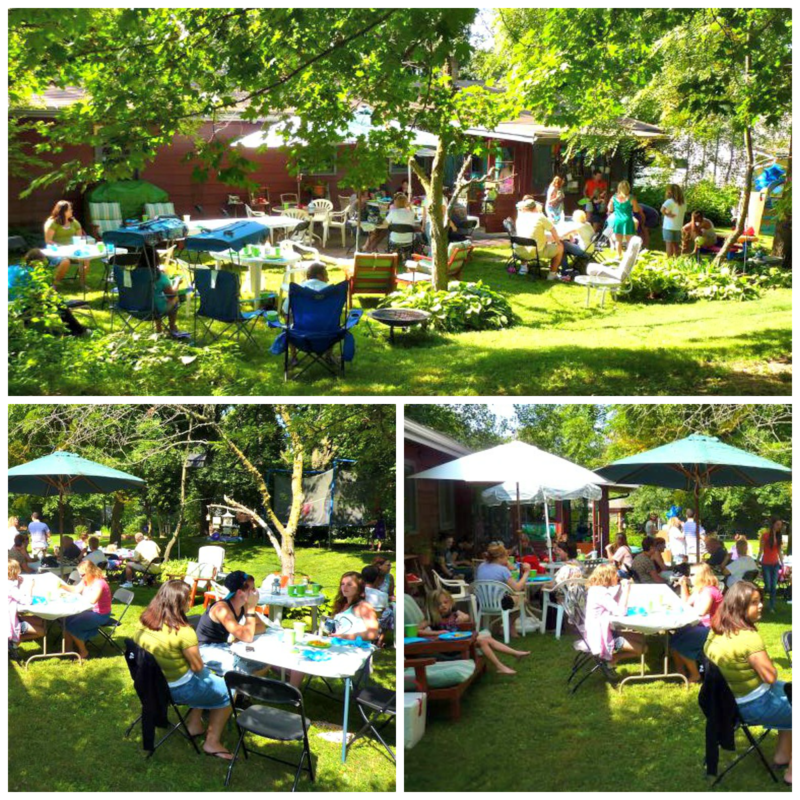 The party was everything I could have wanted and more. 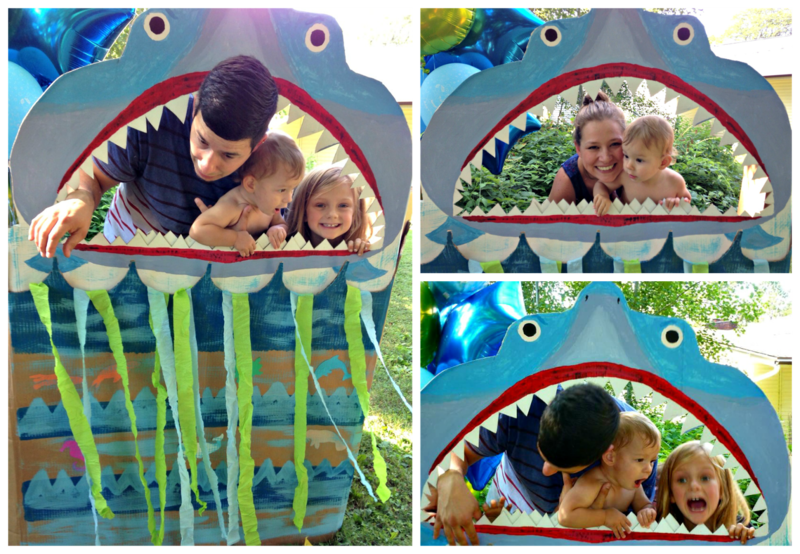 Next to the birth day of Myles, his 1st birthday party was the second best day of my life. It was filled with so much love, joy, and pride for me; it was truly an incredible day. And it was mostly due to the fact that all sides of our families (Mark's family, my dad's side, my mom's side, and my step-dad's side) showed up to support, love, and spend time with my son. It was particularly a very special event because my step-dad's mother, sister, and her family were all in town from Texas and got to meet Myles for the first time. I also have to give a huge shout out to my mother for everything she did to help with this party; I mean one amazing woman right there! Not only her, but tons of other family helped bring everything together and I cannot thank them enough. (When I get to my tutorials and DIYs I will give more details on who did what). This post is pictures of all the guests hanging around and then all of our photo booth pictures below that. My best friend from High School (and beyond) Megan with her little girl McKenna, who is 8 months older than Myles. They both loved the balloons the best! Overview of all the guests! Unfortunately, this is right about the time the camera on my phone started acting goofy and would randomly take blurry pictures. So sorry for the quality of some of them (luckily this won't happen this year since I now have my big girl camera)! Love his face in the first one.. he was shocked too! Of course I had to get in on the fun! 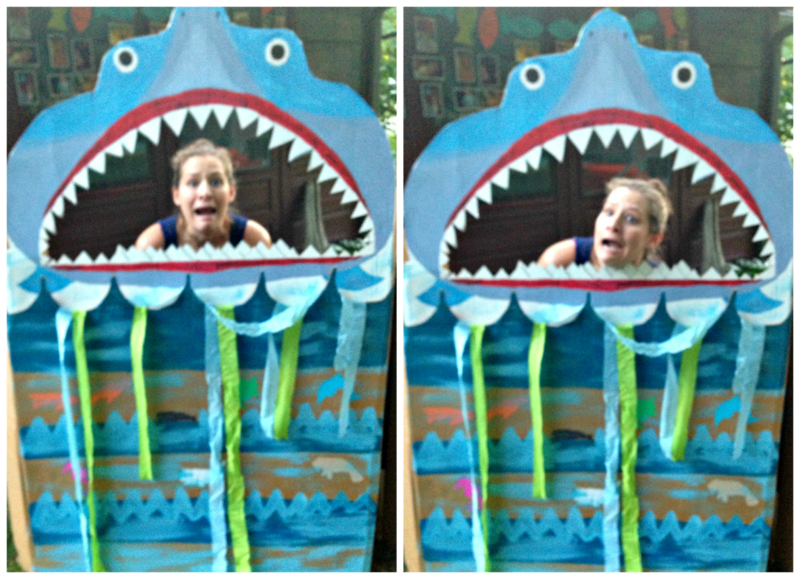 Do you pick themes for your kids' birthday parties? If so, what has been your favorite? I am back with some more first birthday fun. In my first post, I talked about how I decided on a theme and showed you Myles' Birthday Photo Shoot and invitation. I wouldn't consider myself a very traditional mom, but when it comes to milestones I tend to be quite extreme! So this mini-series is going to show just how crazy I get in celebrating Myles. 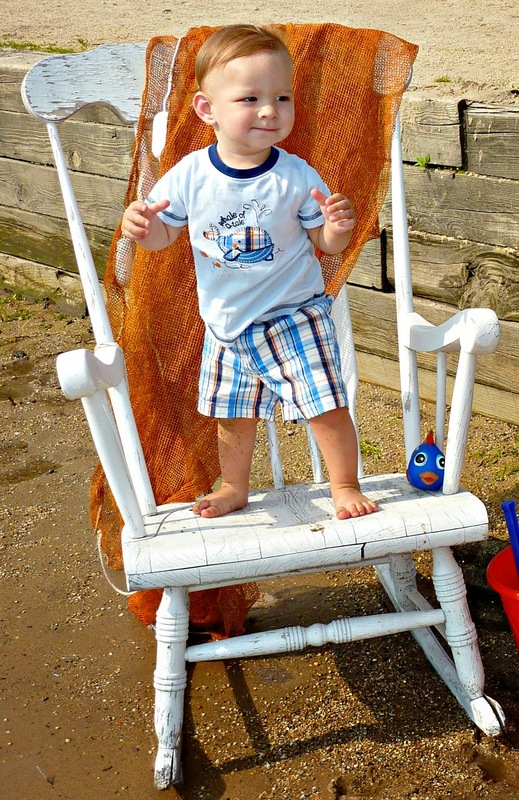 This is my second post filed under Myles' First Birthday, and I may or may not have at least 4 more posts planned! Anywho, back to the 1st birthday! Even though we only just moved to California at the beginning of July, we knew we had to go back home for Myles' 1st birthday. A 1st birthday is a pretty big deal in my book and the perfect excuse to bring all of our families together to eat yummy food, have tons of goofy fun, and dote on the cutest little guy around! We flew back on the 13th so we would have a night to relax and recuperate after 12+ hours of traveling, before Myles' big day. We settled in at my parent's house, had a little visit, and called it an early night. 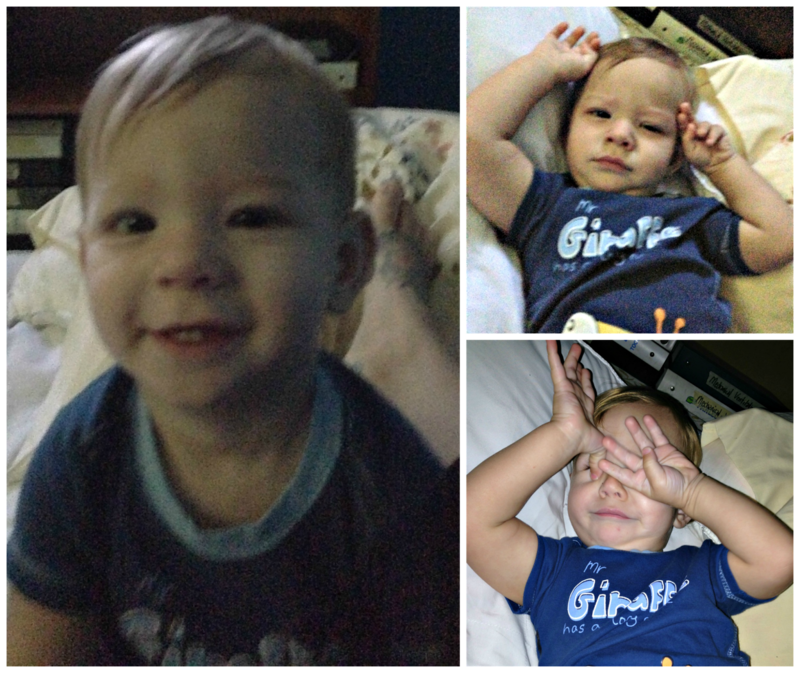 When we woke up, I got a few shots of the birthday boy while we were getting in our morning snuggle time! We lounged around for the rest of the morning and then finally got ready because we were meeting my dad for lunch. Around noon we headed up the street to one of my favorite neighborhood cafes. We ate an awesome lunch and loved on the birthday boy. I have to preface these videos and pictures by saying that up until this point, Myles had never had a sweet treat or dessert of any type. He didn't care for any sort of cookie or chocolate. I tried a few times when he seemed interested but he would either just flat out say no or spit it out after 2 seconds of tasting it. Because of that, I knew there would be no point in getting him a cupcake to eat. So I picked out what I thought we would have the best luck in getting him to try: a carrot cake muffin. And truth be told, I wasn't going to mind one bit if I was going to be the one that ended up having to eat it. I brought a little candle from home and stuck it in the muffin for him! Not quite what I has envisioned, but he got to get messy and I think he may have actually gotten a bite or two in his mouth. When the rest of the household got home, we ate dinner and I let Myles try out another treat for the first time: Jello! I was searching through the kitchen to find something I could put a candle in so we could sing 'happy birthday' to Myles all together, and I knew I stuck gold when I found a little individual sized jello cup. Apparently, I didn't learn my lesson the first time with the lit candle. I didn't put it far enough away and he tried grabbing it again! This time he got so close that his fingers got a little hot and he freaked out. Luckily he didn't actually touch the center of the flame, but he was a little worked up about it. But all was right again in the world when Myles got his hands on that jello! He was so picky and selective with his eating at the time, I couldn't believe that he liked it! He was literally shoveling the jello into his mouth and couldn't sallow it fast enough! After getting cleaned up from dessert, we let Myles open up a present that his great-aunt dropped off because she wasn't going to be able to make it to his party. He was really into the card (I think it had a dinosaur on it) and was genuinely intrigued by the opening of his present. That made me even more excited for his party and to be able to watch him open all of his presents! Then we got ready for bed, but before the night was over, I had sneak in a little first birthday selfie photo shoot. Then it was off to dreamland for Myles and DIYing for the momma! Do you celebrate the actual birthday as well as have a party? Or just pick one? 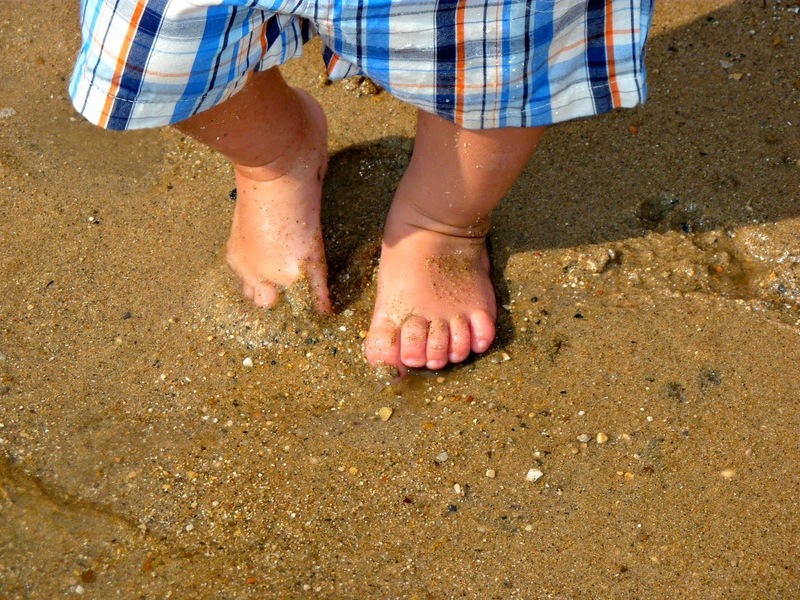 What are some of your birthday traditions for your kids? Don't forget to come back to check out the actual party and see if all my hard work paid off! 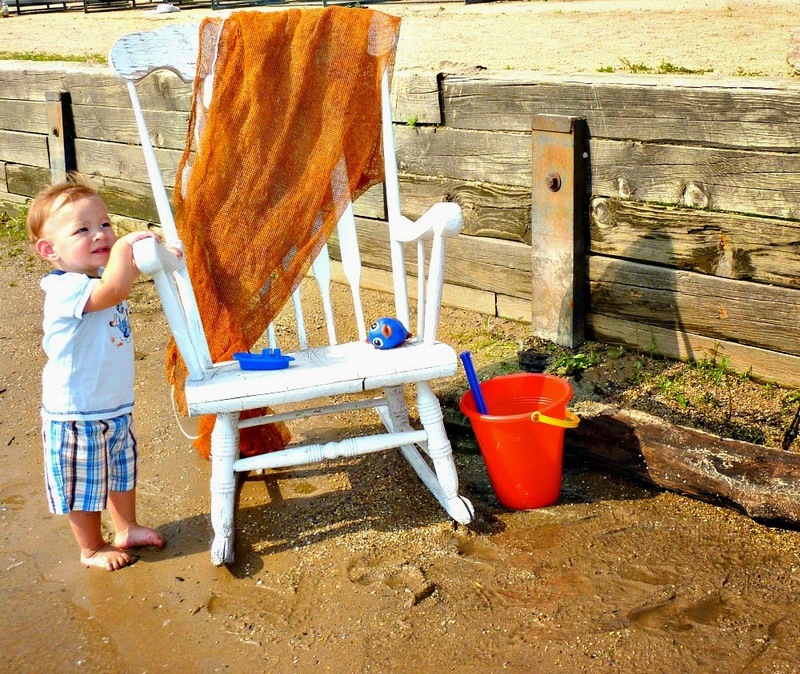 Welcome to the first week of the Think Outside the Toy Box Summer Fun Series! 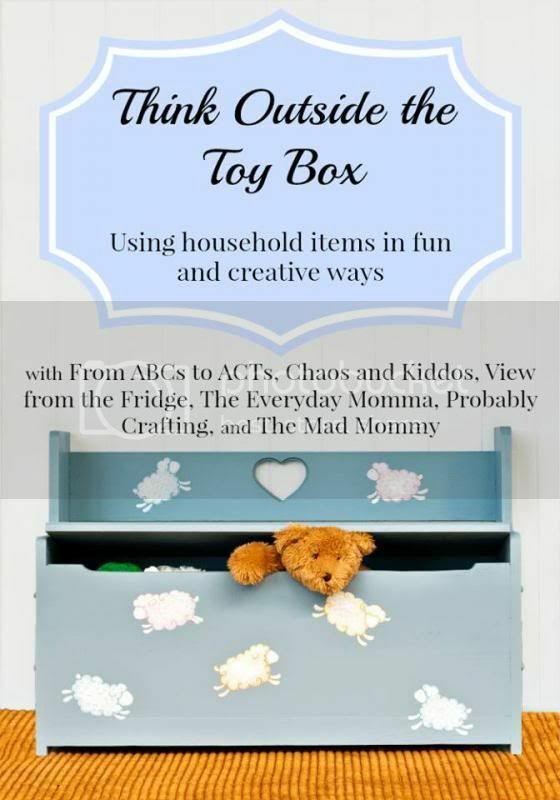 If you are here for the first time or missed Friday's post, you can check out the Introduction the Think Outside of the Toy Box for all the details of this awesome new series. This week's item was a tough for me! I wasn't too worried about engaging Myles because he has a pretty big fascination with glow sticks, so I figured he would love whatever we did with them. However, I wanted to start this series off with something that would BLOW YOUR MINDS... and well... I feel that I fell a little short of my expectations. I seriously racked my brain for days and even went so far as to ask my boyfriend for ideas! In the end, the right side of my brain totally failed me on this one. 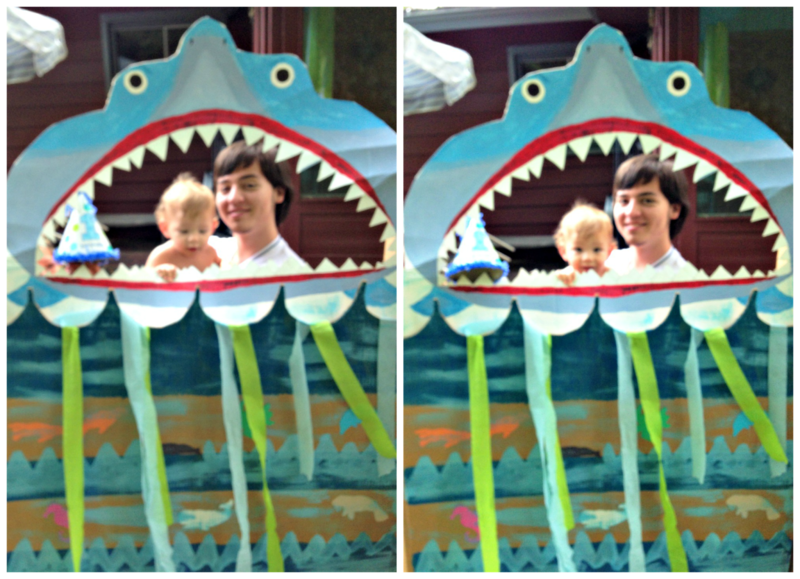 But I will say that both Myles and I had a pretty good time, even if it wasn't the most creative! For this game to be played to its full potential, wait until it is dark outside or set it up in a room that can be made mostly dark. Also the best ball to use is one that is heavy enough to knock the bottles over, but light enough to be rolled by your little one. The first ball we used was a little too light. 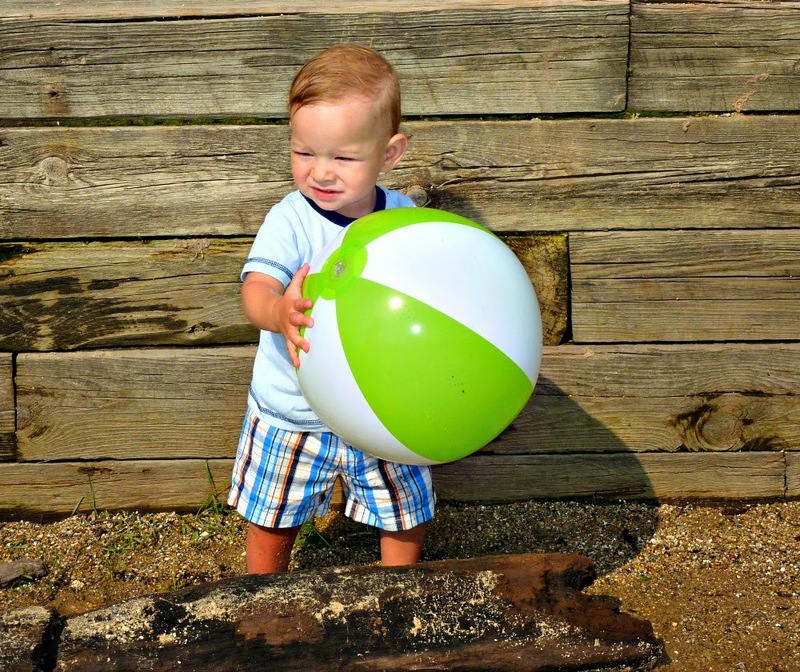 It worked okay, but when we switched to a heavier ball (toddler sized basketball), it worked a lot better. 1. 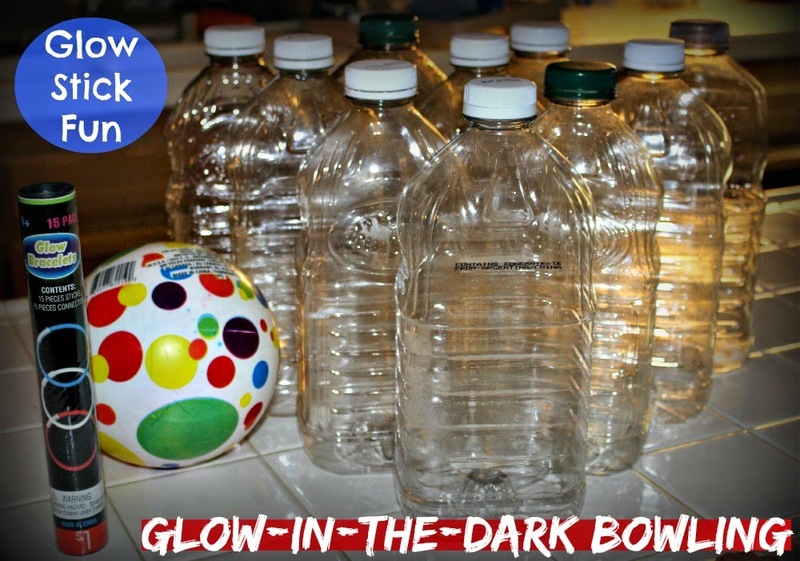 Break the 10 glow sticks, shake them, put one in each bottle, and then screw the top back on. To be honest, this was Myles' favorite part. 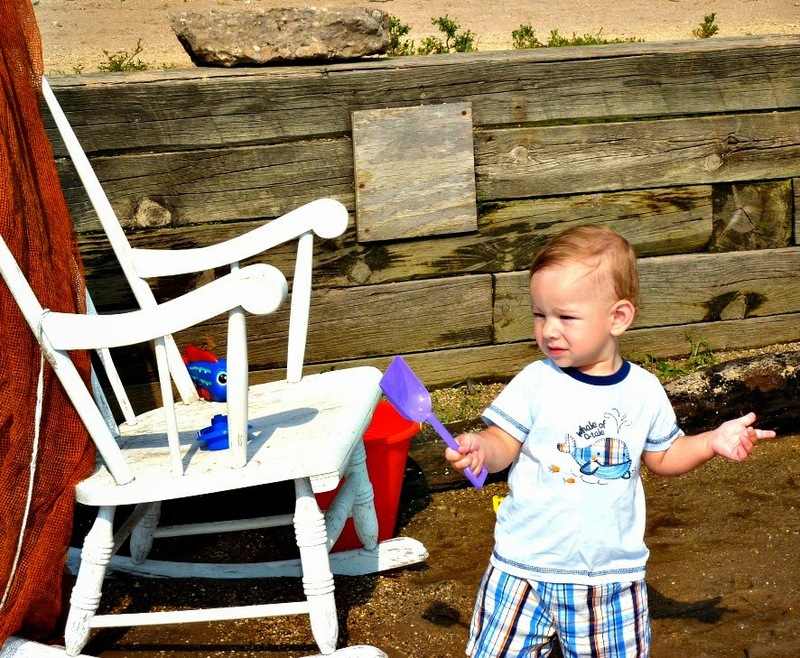 He loved breaking the sticks and putting them in each different bottle. This entertained him more than the actual bowling! That's a toddler for ya! 2. 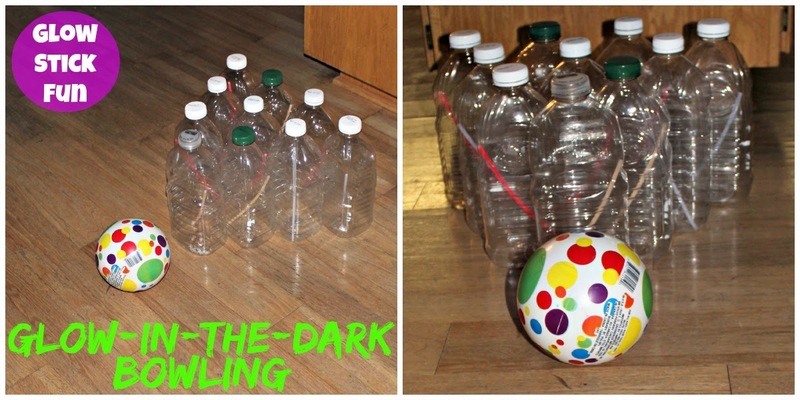 Set up the 10 plastic bottles (with glow sticks in them) in bowling pin formation. 3. Turn off the lights (or set them up outside at night time). You probably need a little light, but make it as dark as possible without endangering you/your children! I wasn't able to get any very good action shots because I was having to set the bottles back up every 5 seconds. And then Myles thought it would be fun to just kick them all down instead of using the ball. Variations: Use less bottles if you don't have ten. Use plastic 2 liters, or for a small version, use 1 liter pop bottles. 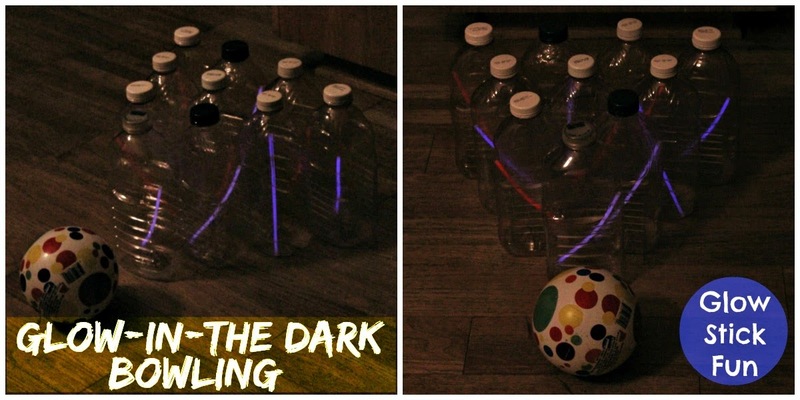 Put 2 or more glow sticks in each bottle. 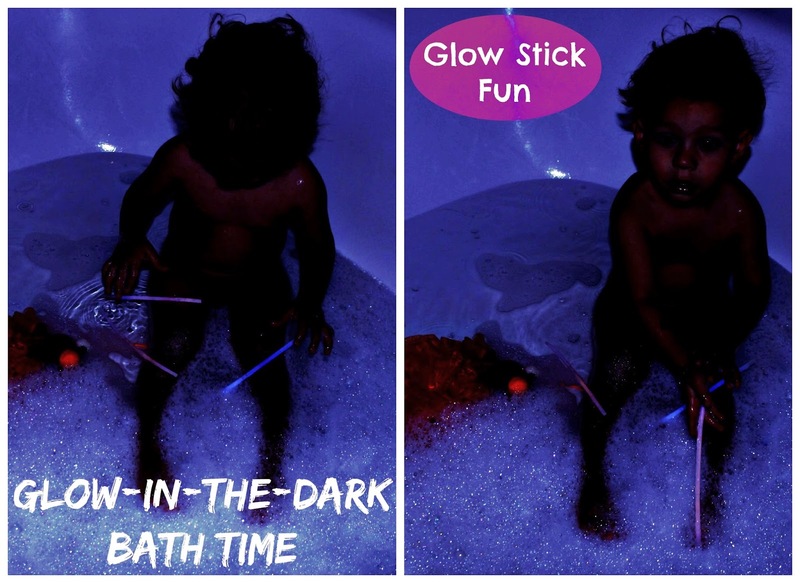 After our bowling, it was bed time, so we used the rest of the glow sticks to take a glow-in-the-dark bath. We just used the 5 we had left over from the pack, but I think it would have been better if we used more. 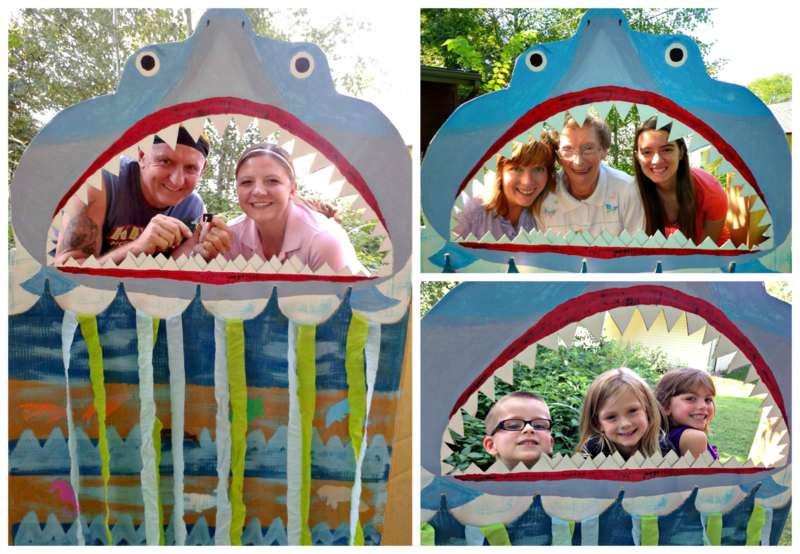 So there you have it: week one of the Think Outside the Toy Box Summer Fun Series is in the bag! 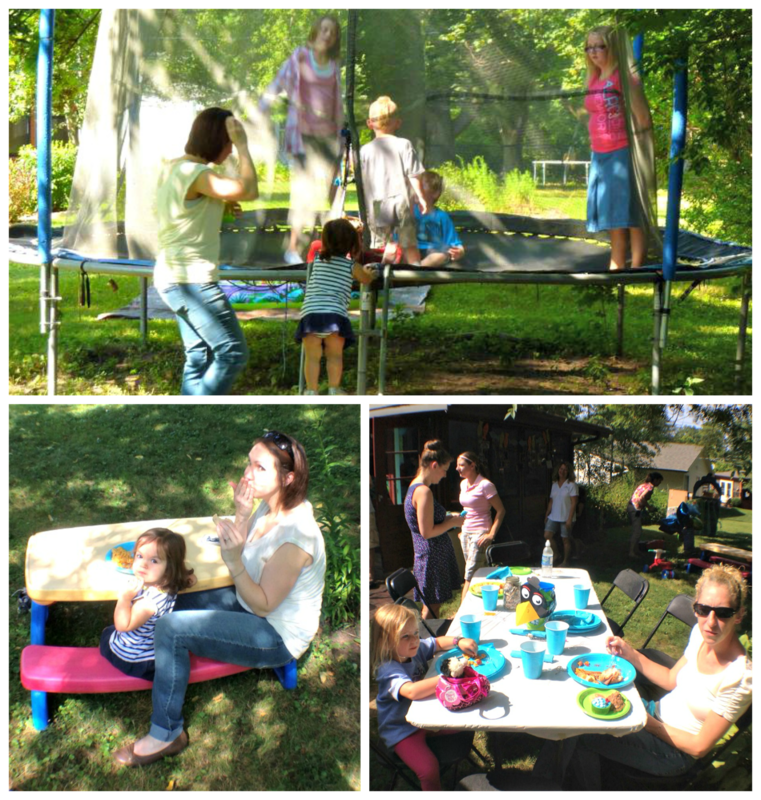 Also don't forget to check out what all of the other ladies put together for this week's item in the link-up below. 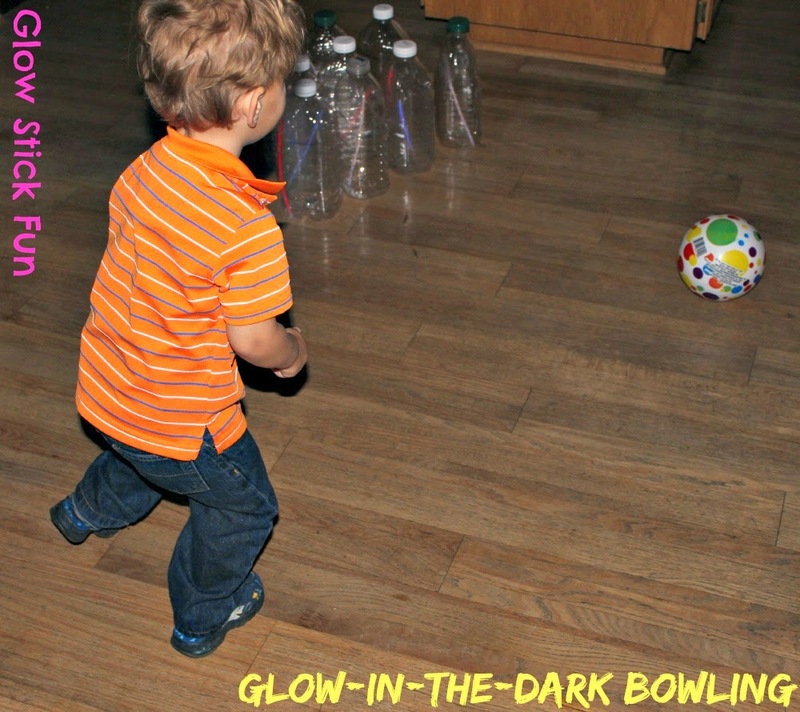 And if you have a post (new or old) that you created showcasing glow sticks in a kid's project, craft, game, experiment, etc., submit it below as well. No post this week? No problem; join us next Monday when we will be using plastic pop bottles! 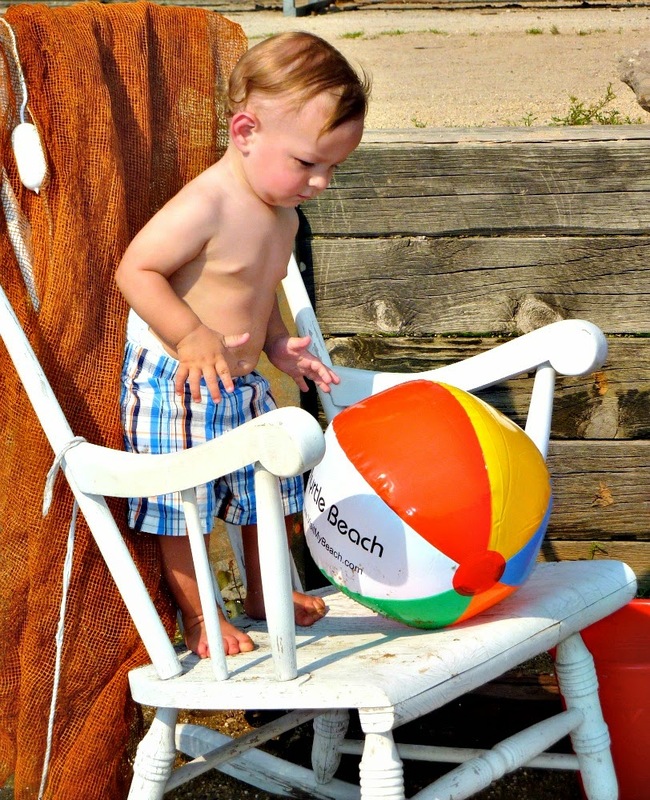 My awesome blogger buddy Amber at From ABCs to ACTs came up with the idea of a summer fun series that involves using ordinary household items and toys in new and inventive ways to put an end to 'summer fever'. She invited me, along with a couple other bloggers, to co-host this series with her, and I gladly accepted. So once a week, starting this Monday, myself, Amber, Katy from Chaos & Kiddos, Katie at View from the Fridge, Becka from Probably Crafting, Echo from The Mad Mommy, and hopefully some other awesome mommy bloggers throughout the weeks will be posting our projects for that weeks specific item: be it a game, craft, experiment, etc. Mine will be geared towards the young toddler age, but the age range of kids among us is wide, so there will be something for everyone. Like I said earlier, most of the items we will be using for the projects in this series are things you most likely already have in your house (and if not, the dollar store does)! 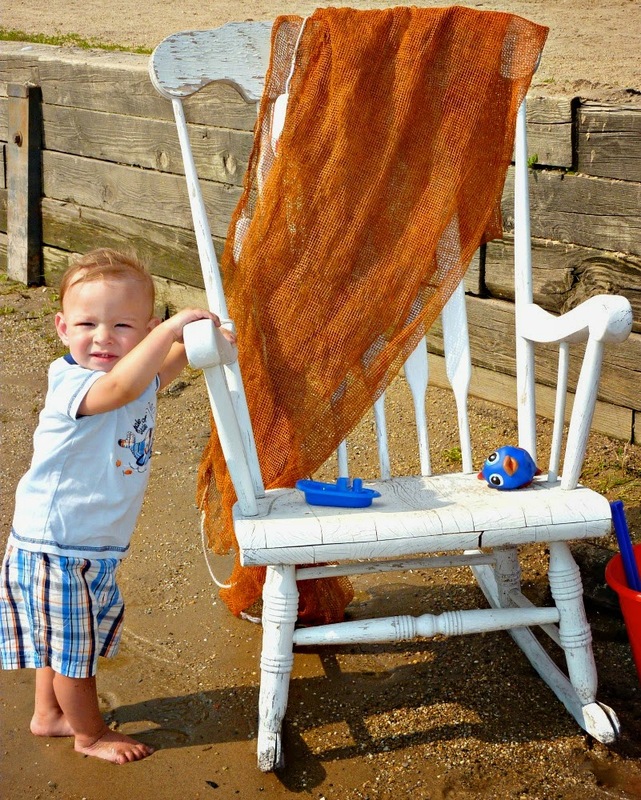 The main idea behind this Think Outside the Toy Box Summer Fun Series is to break kids of 'summer fever' and get creative with normal, ordinary items we all typically already have laying around the house. And to make this series even better, we decided to make it an open link-up. That means every Monday when the posts go live, you can also link-up a post (new or old) that you created showcasing that certain weeks item in a kid's project, craft, game, experiment, etc. 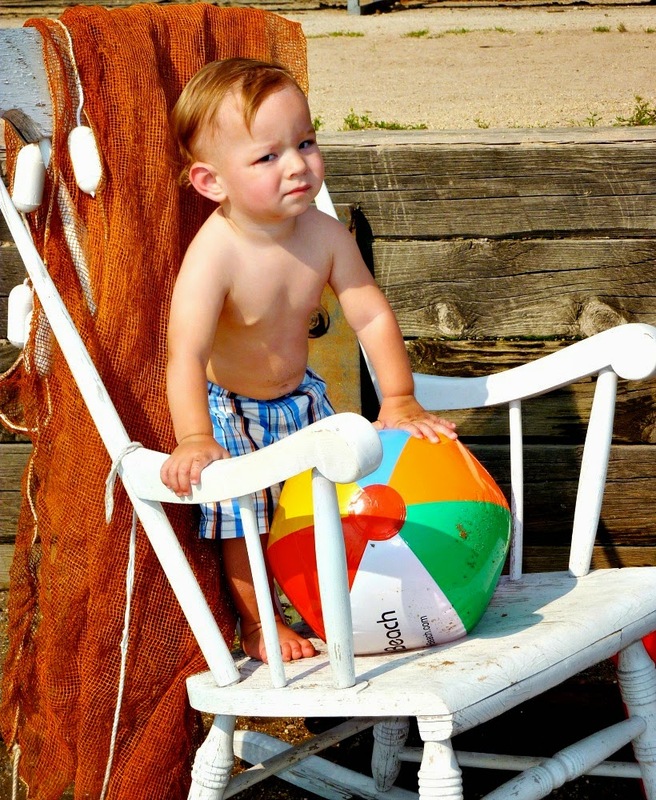 So what all this boils down to is tons of summer fun ideas linked-up in one place and tons of exposure for you if you join in! Our desire for this series and the sharing of our ideas is to give some inspiration and hope to get you and your children through the dark days of summer :) So if you're up to the challenge of annihilating the dreaded 'summer fever', then come back on Monday and check out what fun and inexpensive ideas we have all come up with to keep the kiddos entertained and happy! 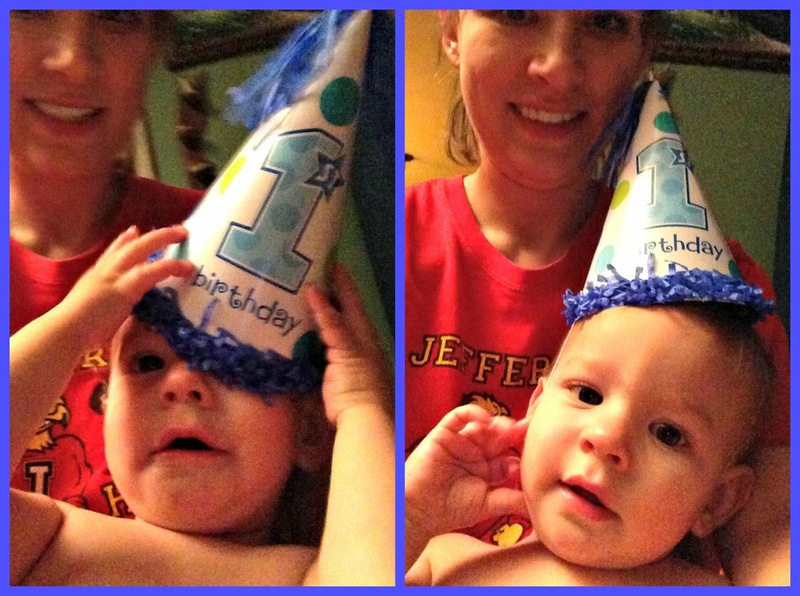 This is this first post in a mini-mini-series chronicling Myles' 1st Birthday! I started planning his first birthday when he was about 9 months old. I was so excited, I couldn't wait to pick a theme and start pinning ideas. Being a thrifty momma, it's always best to have time on my side. The more time I have to plan and buy, the more chances I have to get deals. So for me, three months was the perfect amount of time to bring my ideas and plans to fruition on a budget. First things first: the theme. Since Myles wasn't really into any characters yet, I crossed all of those options off of my list right away. He didn't have too many other interests yet either, so it was a pretty narrow field to choose from. Of course, his number one favorite was balls, so I thought about a sports theme. I also tossed around the idea of pirates, but ultimately, I decided to go with a water theme. 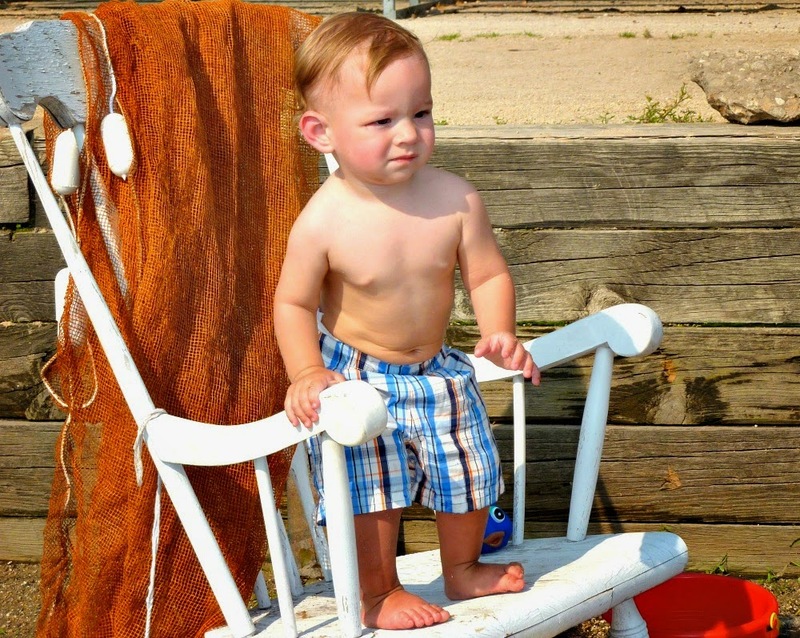 His birthday is in the hottest month of the year and he was showing definite signs of being a water baby (like his momma). He loved his swimming class and playing in his kiddie pool. He was also a big fan of fish. The plastic fish in the pictures below was his first favorite bath toy for months. When he was still a tiny babe, that little fish made him laugh so hard in the tub. He even had a fish as his first pet. So something based around water was the obvious option. 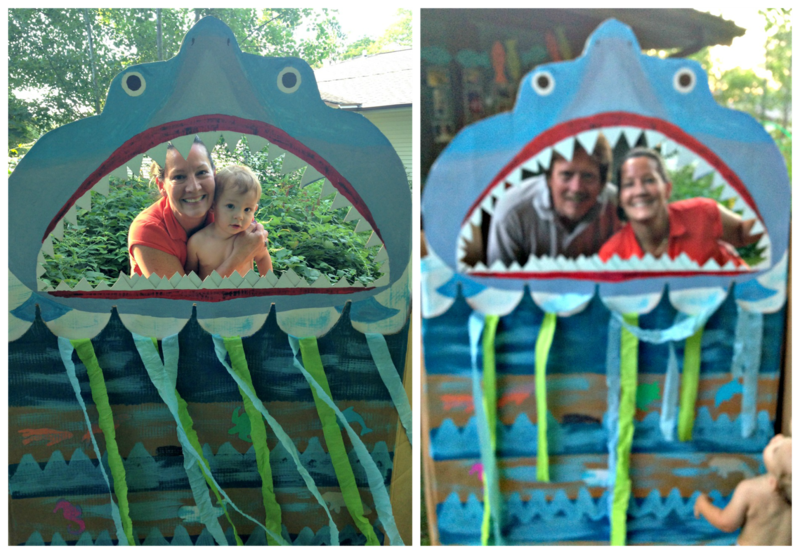 As we began finalizing all of the details, the theme became more specifically 'Under the Sea'. I can't wait to share with you all of the fun ideas we came up with, but we will start with his invitation and photo shoot . I knew I wanted to create the invitations online. It is so much easier that way; type it once and have as many printed as you need. Plus, you can get them just how you like (mostly). I used Snapfish, and picked out a pre-made template. It wasn't perfect, but I liked it well enough. I was getting down to the wire with time, so I just went with one that I liked the best out of the top ones I picked out. I also knew that I wanted to make one that was mostly pictures. 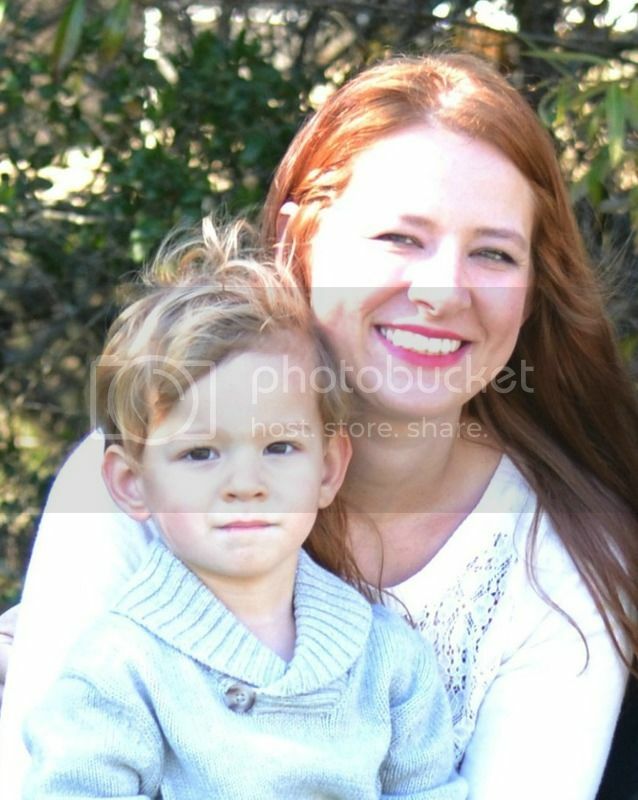 Since we have a lot of family and friends that live out of town and wouldn't be able to make it to his party, I wanted to have the invitation double as his first year pictures. 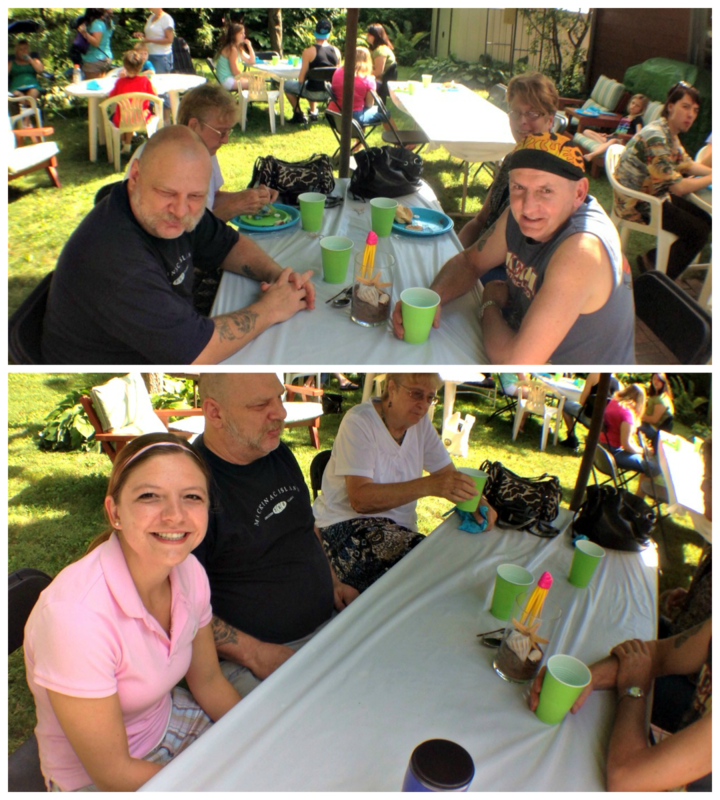 It was half as less work for me and everyone was able to get some updated pictures of him even if they wouldn't be able to come to the party. I didn't have much time between deciding to do the pictures and leaving for California, so the whole set up and actual shoot was a bit rushed. I also just used my moms point and shoot camera, so they aren't the best quality. Plus, it was super hard to get him to stay still long enough to get anything good. He had fun though and we got enough decent shots to make up the invitation. 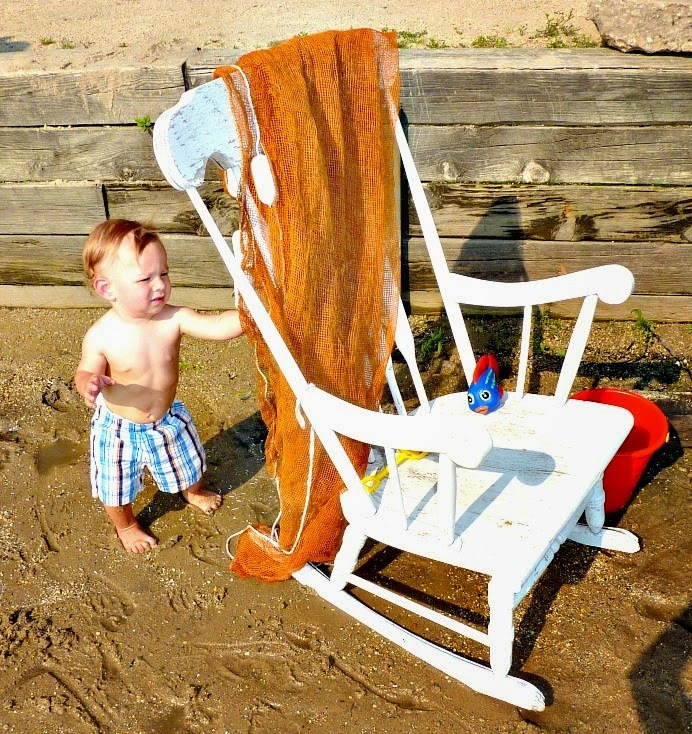 Also this is the only real beach (off of a river) that we have in our area, so we had to make due! This is my favorite of all the pictures. We have it as an 8x10 in Myles' playroom. 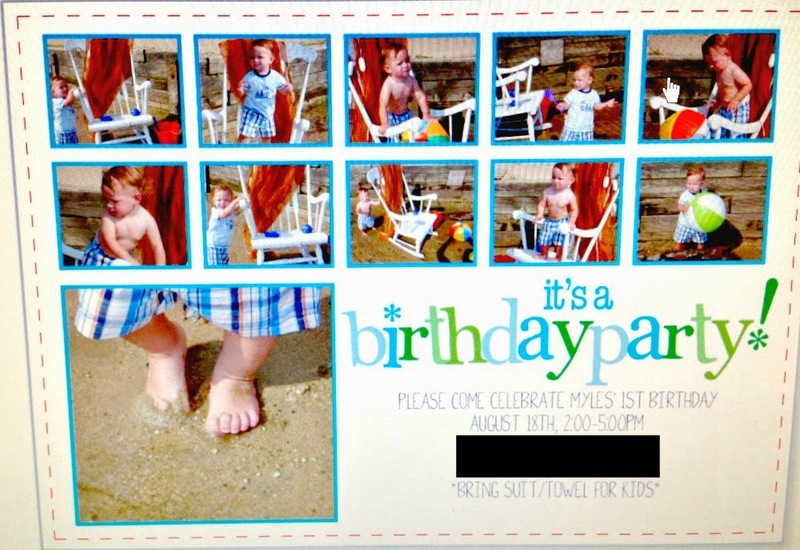 I didn't think to screenshot the invite or take a picture of the real thing, so this is a picture from the computer screen. Bad quality, but you get the idea. 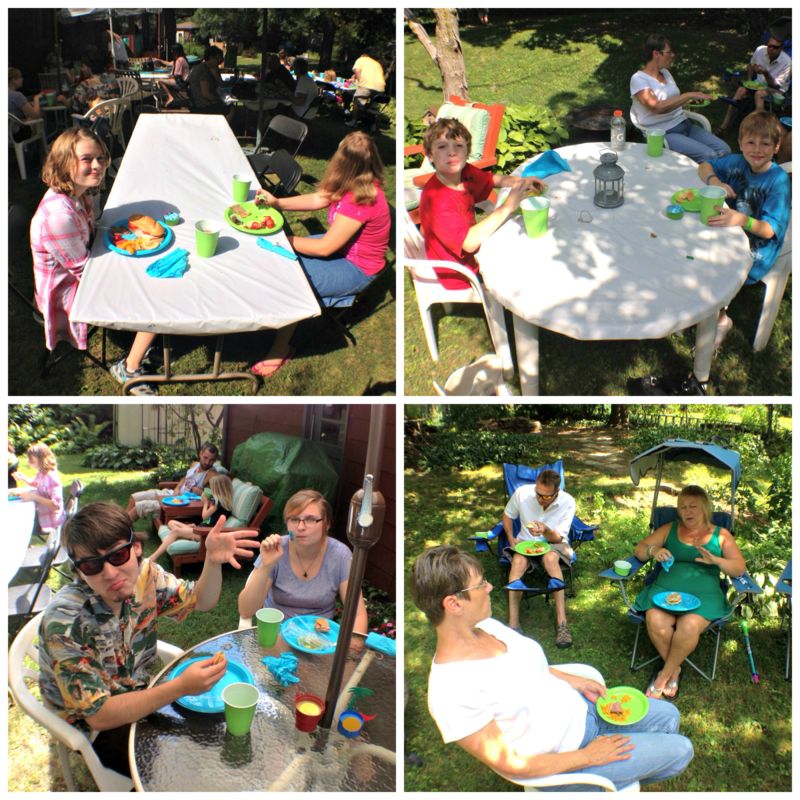 Don't forget to come back and check out how we celebrated his birthday!